How wonderful and strange these all are! Thanks, Sherrill. I’m starting to get a little more obscure, or at least mix in some lesser known artists. Lovely series. Just fantastic. but I loved the ‘selfie’ running joke. No need to stop it. What’s wrong with a little humor? Interesting to know that French artists, like Cézanne (au-dessus), Bonnard, etc and, maybe also Vincent van Gogh used Bruno Charvin paint. Do you Know? Since 1830, the Charvin company, located on the riviera still make it. They say it is ideal for the plein air painter, like your-self, monsieur. I haven’t tried Charvin paint yet, but I find it interesting that they use a mix of linseed and poppy oil as their binder (rather then just linseed oil). 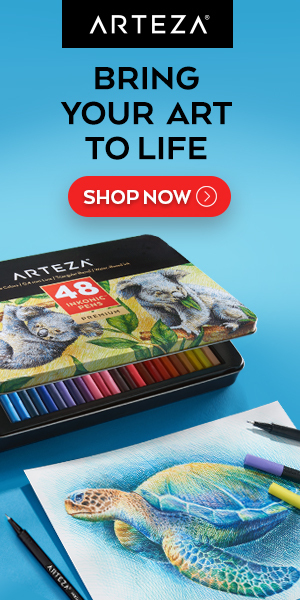 I know that Jerry’s Artarama carries them online: http://www.jerrysartarama.com/discount-art-supplies/oil-color-paints-and-mediums/charvin-artist-oil-colors-and-mediums.htm as well as in their retail stores here in the U.S.
Charley, who is the young painter who did her SP in charcoal? I was asking because charcoal piece was 6th from above, and you listed Ila Schütz as 5th. My mistake, I had Christy and Schutz reversed. Fixed. Thanks.